Le Fashion Truck: Need help opening a Fashion Truck? Need help opening a Fashion Truck? Join Stacey Jischke-Steffe & Jeanine Romo, the pioneers of the mobile retail industry, and creators of Los Angeles' original mobile boutique, Le Fashion Truck, in a 2.5-hour webinar, "How to Launch Your Mobile Retail Business." 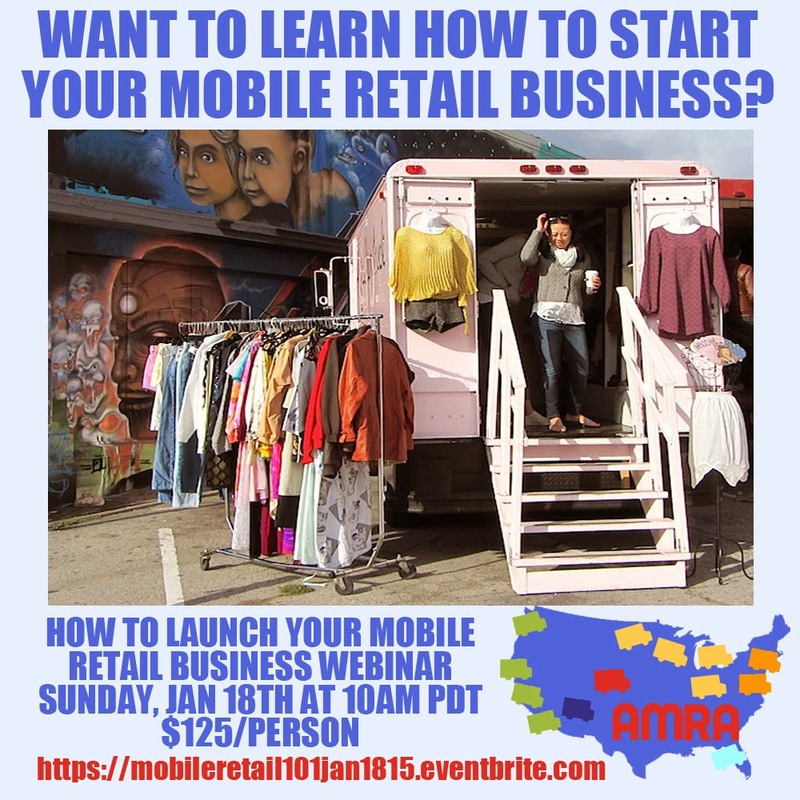 Hosted by American Mobile Retail Association, this webinar gives you ALL the basics you need to know to open your own store on wheels! Topics include start-up costs, monthly budget averages, converting the interior and exterior, how to find the truck, an overview on various point of sale systems, social media & helpful tips. Includes a 30-minute Q&A session and a summary guide.